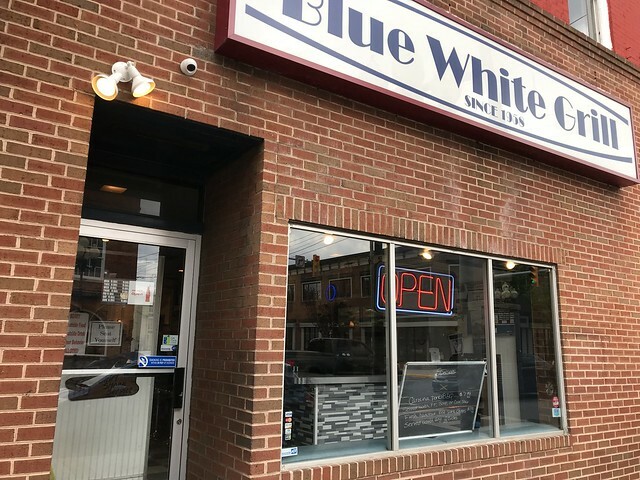 Blue White Grill is a diner in downtown Martinsburg, which serves up breakfast all day long. 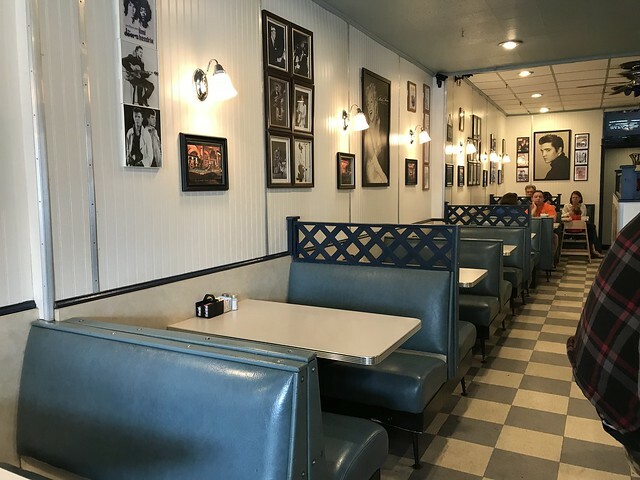 In 1941, William “Bill” Brown built a restaurant in Martinsburg, called the Snow White Grill, along with his two partners. There were nine of these restaurants in the area, serving our original burgers with fried onions and pickles. 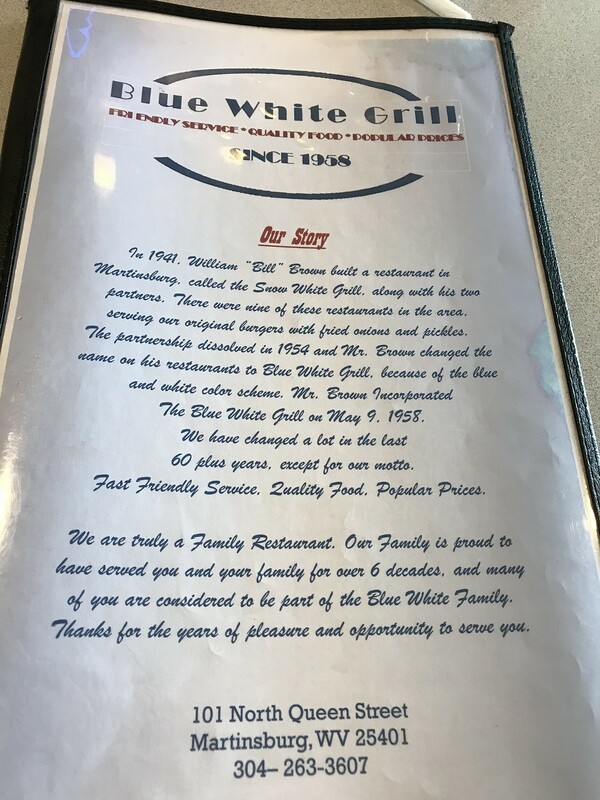 The partnership dissolved in 1954 and Mr. Brown changed the name on his restaurants to Blue White Grill, because of the blue and white color scheme. Mr. Brown Incorporated The Blue White Grill on May 9, 1958. We have changed a lot in the last 70 plus years, except for our motto. 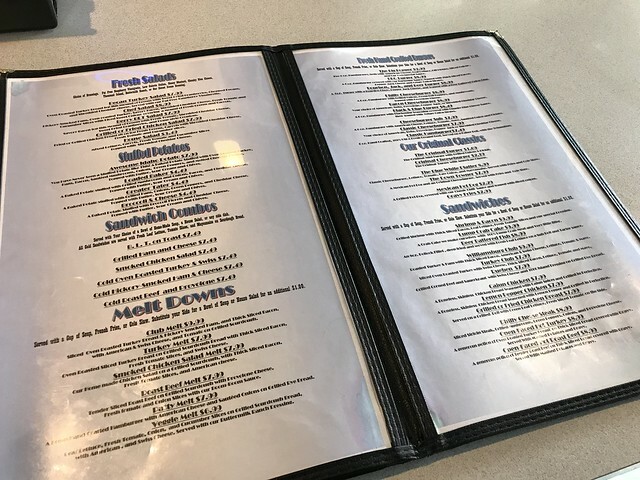 Fast Friendly Service, Quality Food, Popular Prices. 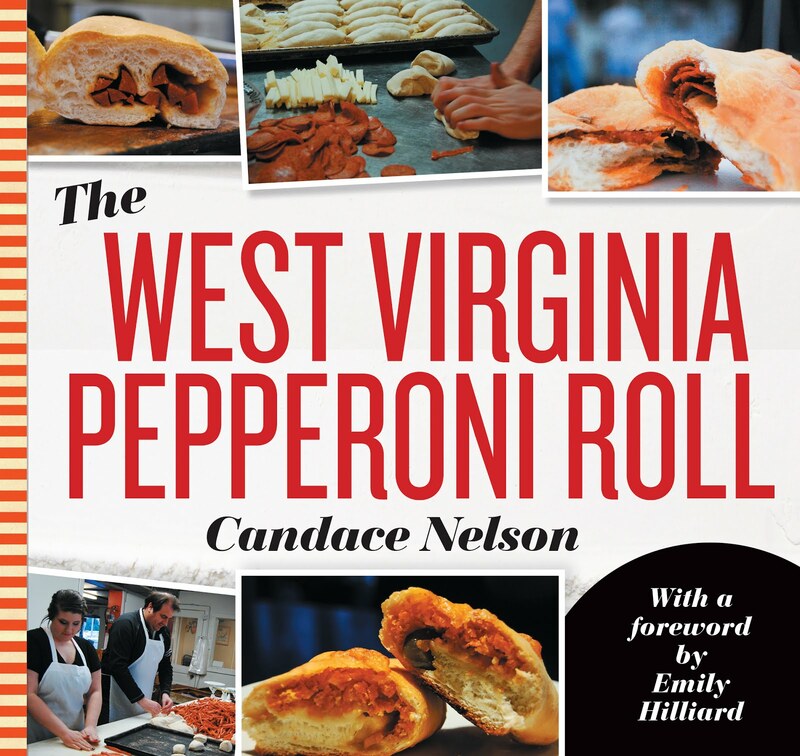 They're also known for their burgers. 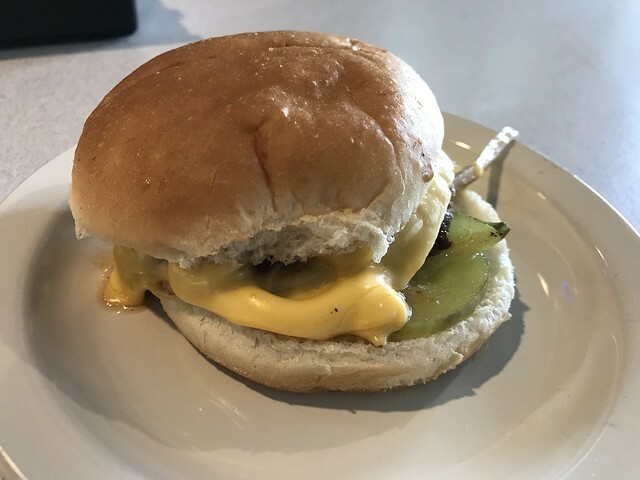 Under their "original classics," was their Original Burger, which has grilled onions and pickles. I also got American cheese to make it the Original Cheeseburger. These are small burgers, so if you want just a snack, it's perfect. If you want more of a meal, might want to get a few.